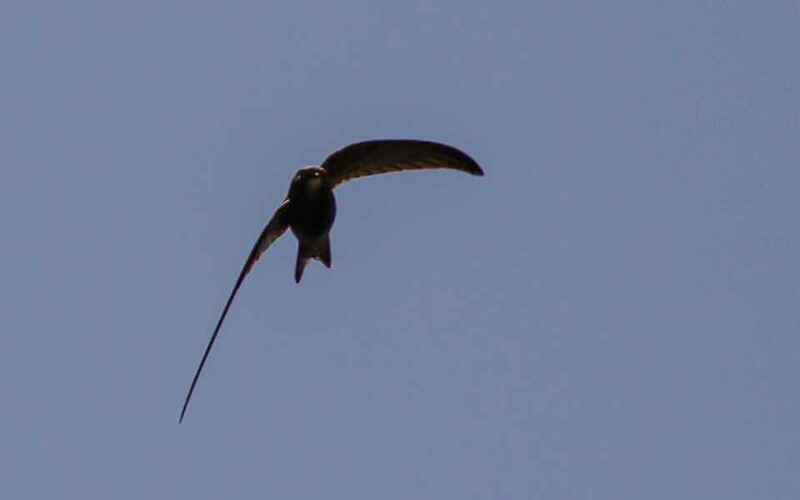 The only real attraction that living in a town holds for me is seeing and hearing the small flocks of Common Swifts screaming in between the buildings on hot summer evenings. 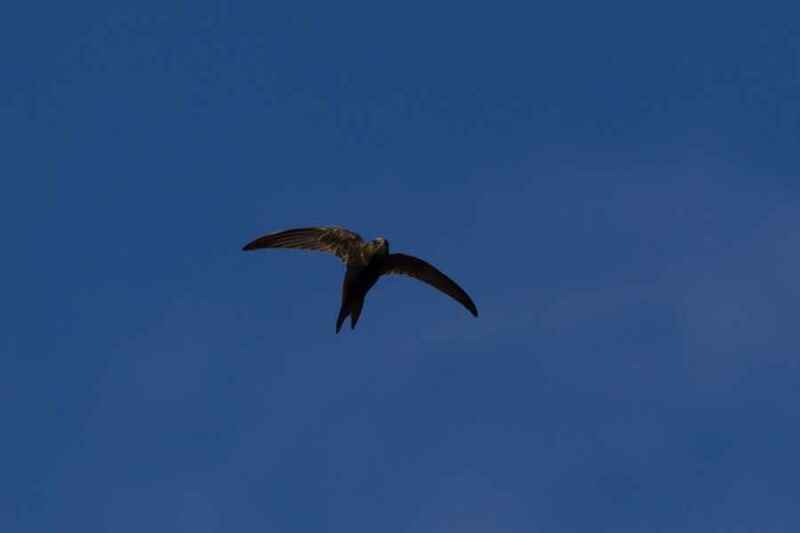 A summer visitor only, arriving in May and leaving in late August, Swifts mesmerize me. Once they've left the nest as chicks they fly on average non-stop for two years or so, and with this kind of lifestyle they have almost lost their legs. They're the ultimate torpedo-shaped flying machine and with their sickle-shaped wings both fast and maneuverable. They have a small pale throat patch, but are otherwise dark. They will probably be the death of me though ... I know I'll get knocked down one summer evening staring open-mouthed into the sky as a truck thunders down on me ... at least I'll die happy!